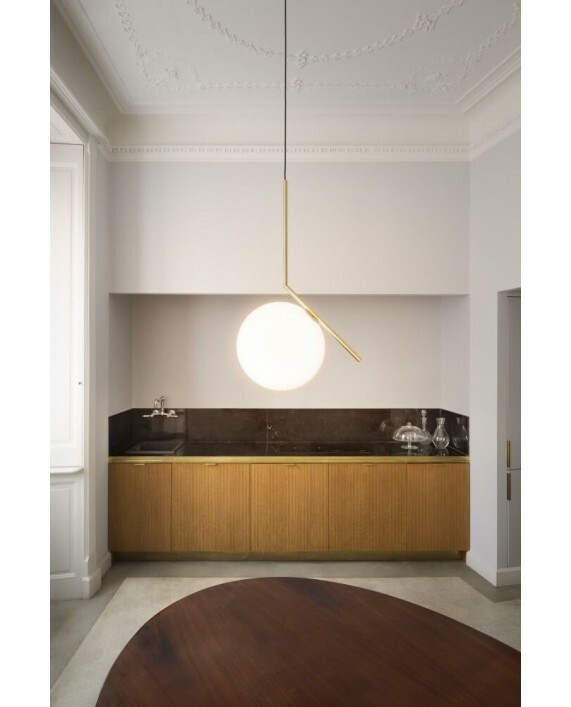 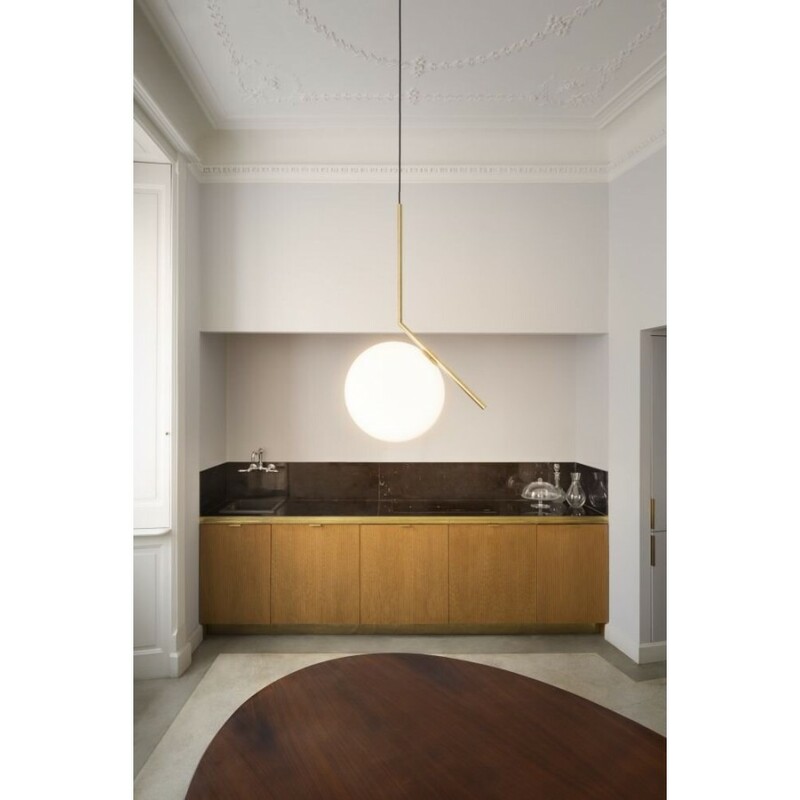 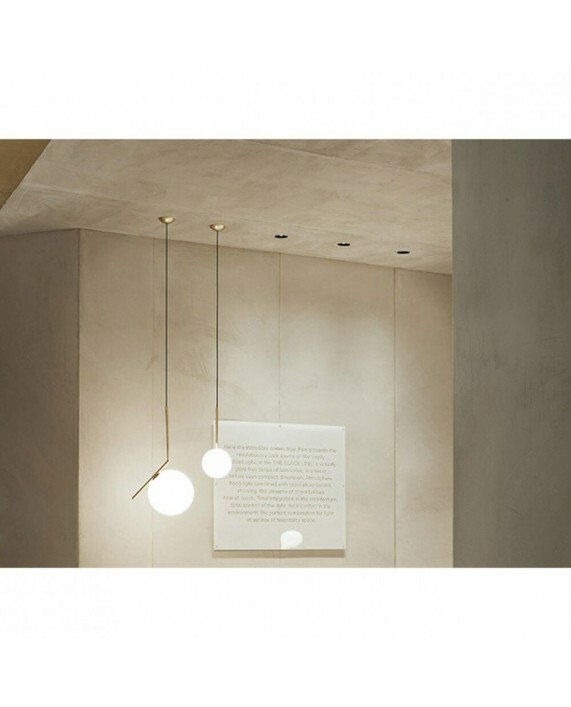 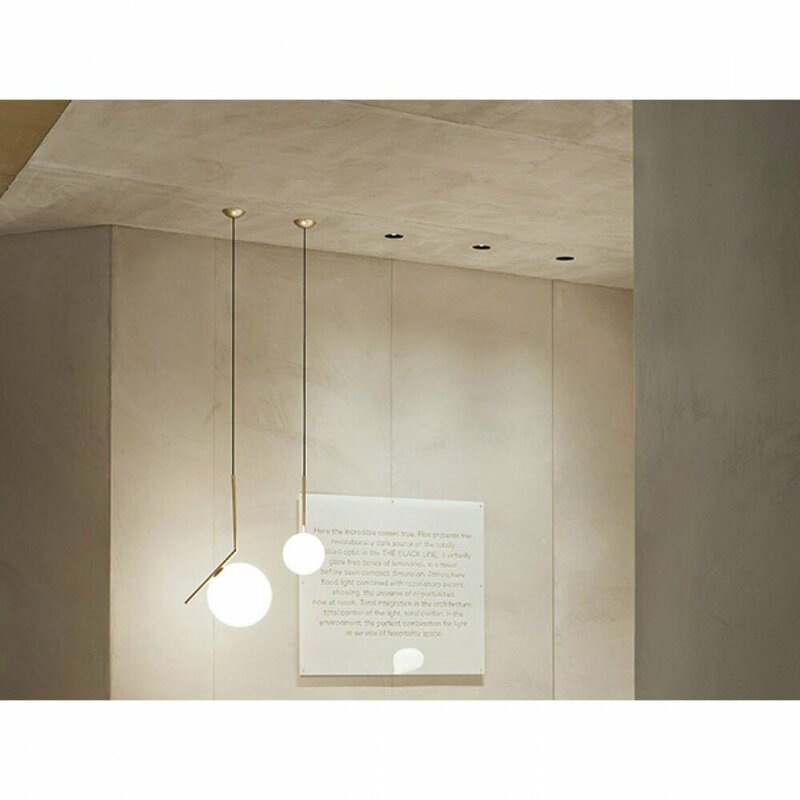 The IC S2 Pendant is part of a series of lights designed by Michael Anastassiades that explore balance. 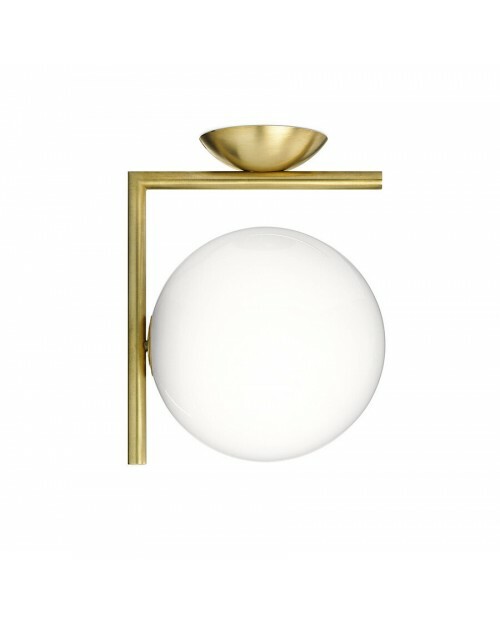 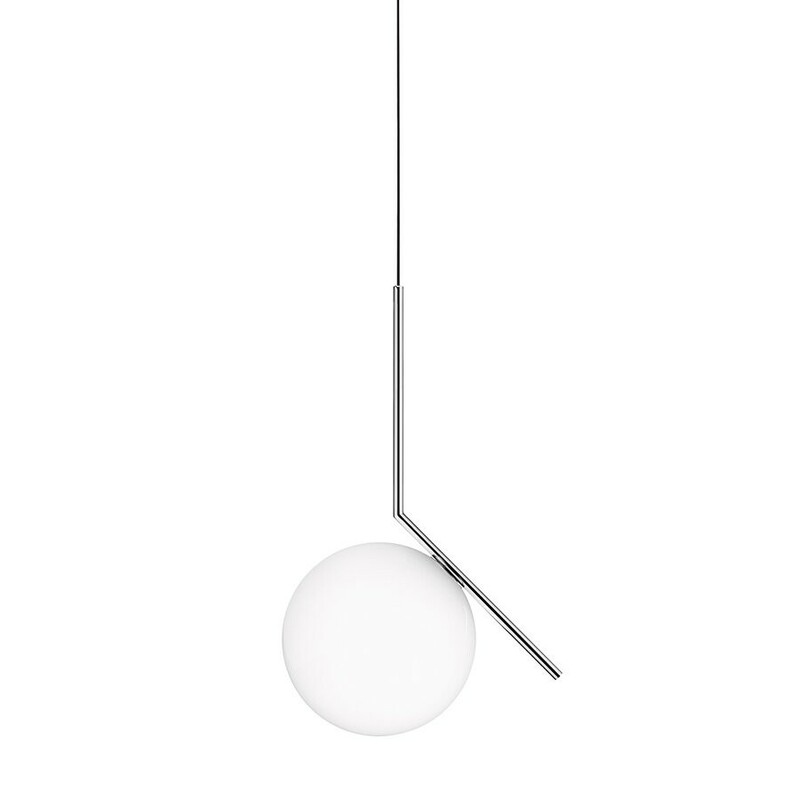 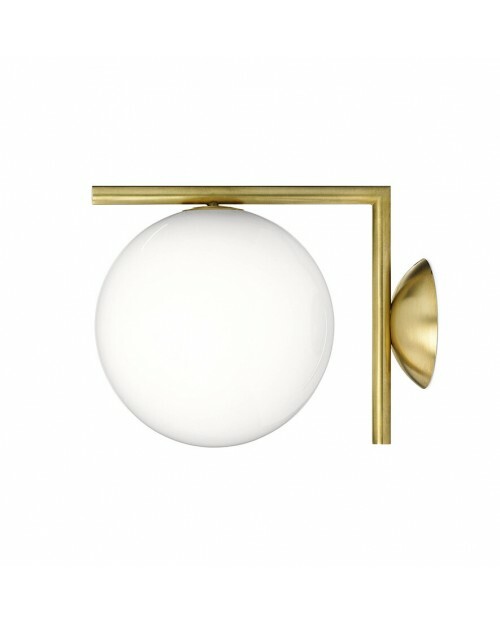 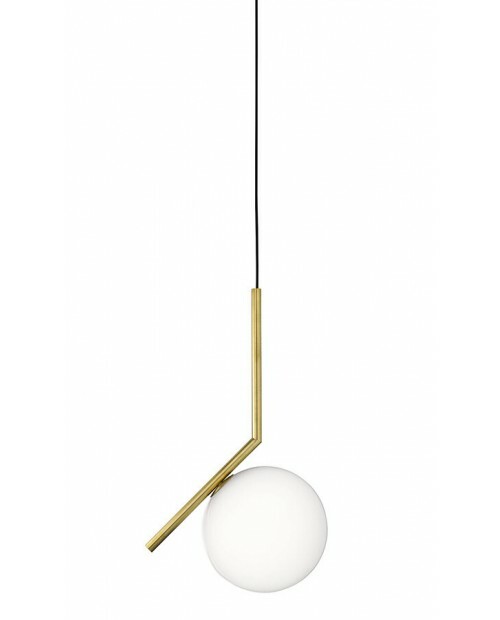 Inspired by a contact juggler spinning a set of spheres, this lamp features a mouth-blown glass orb attached to a steel rod. 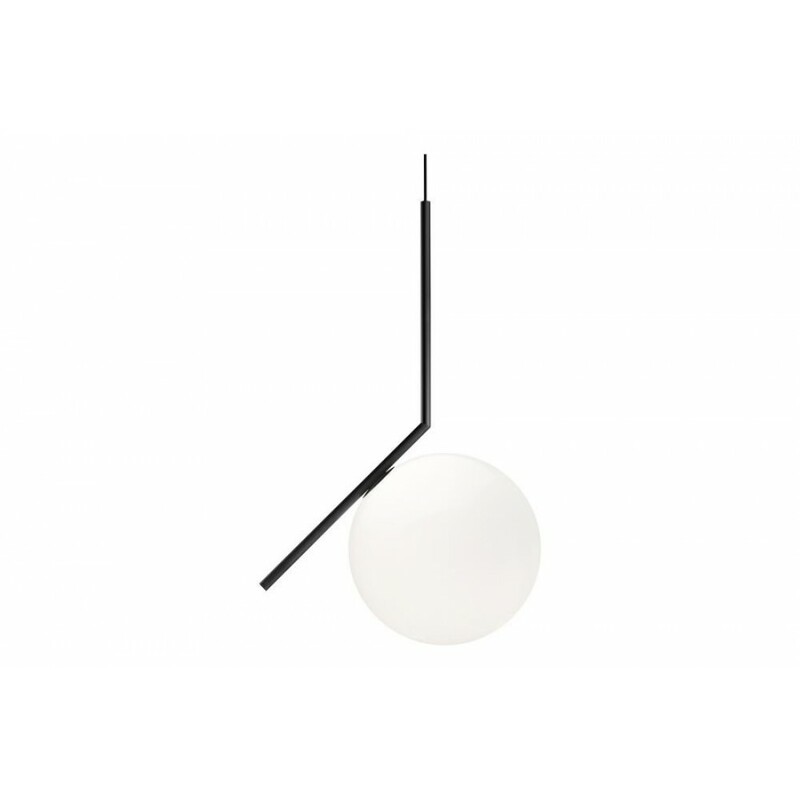 The IC S1 Pendant is a smaller version of the S2. 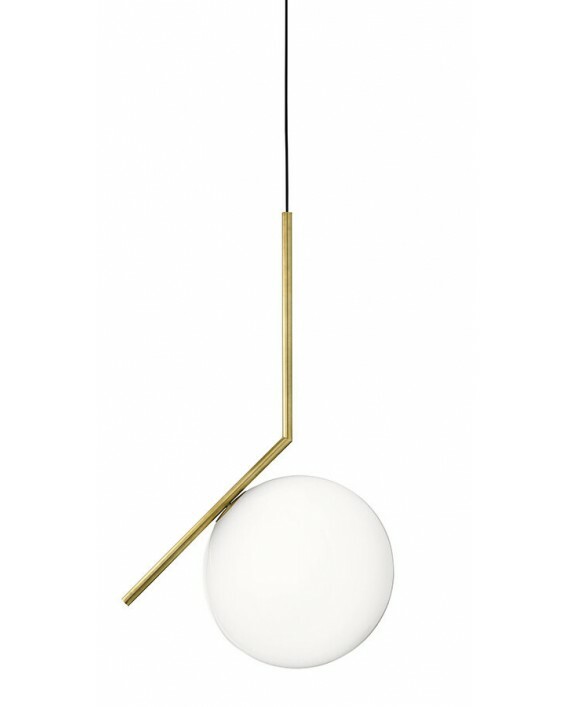 Steel, brass and blown glass. 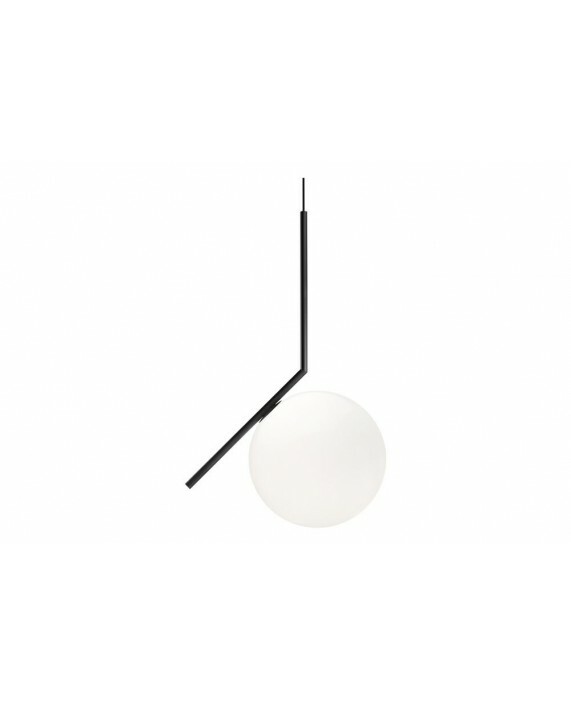 Dimensions: Shade height: 70.2 cm, shade diameter: Ø30 cm. 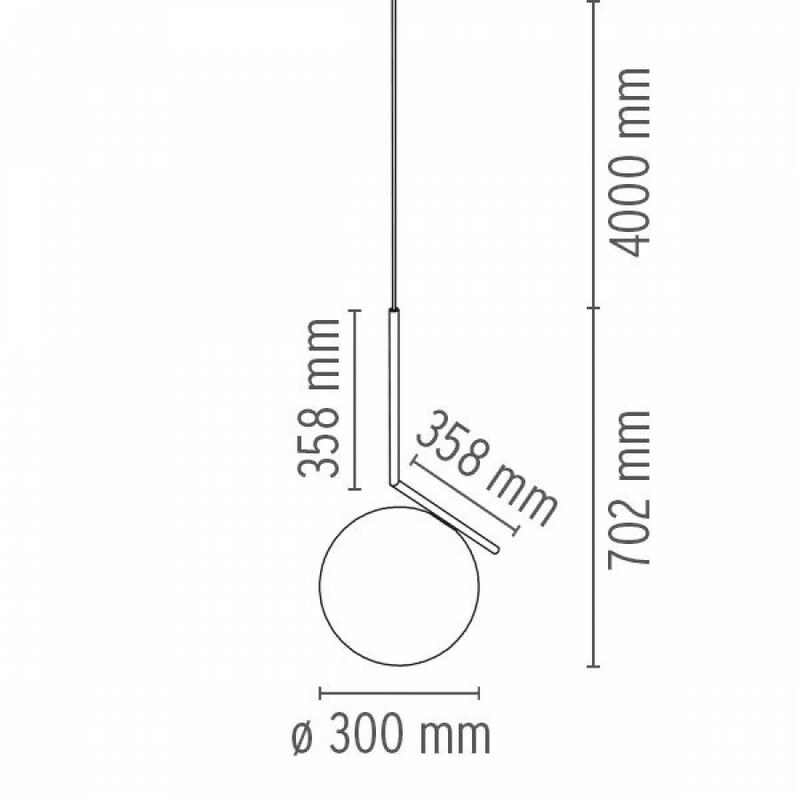 Cord length: 4 m.
Bulb req: Max 60W-Halogen, E14 socket (light bulb is not included). 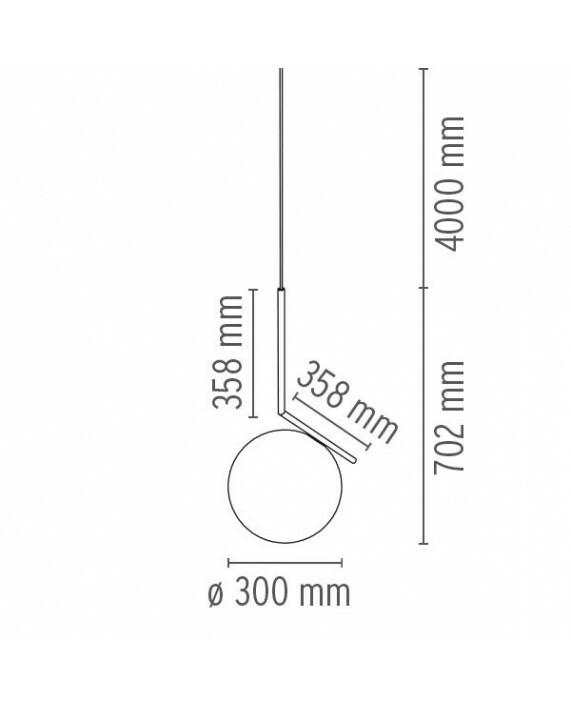 Halolux HsGs dimmer. 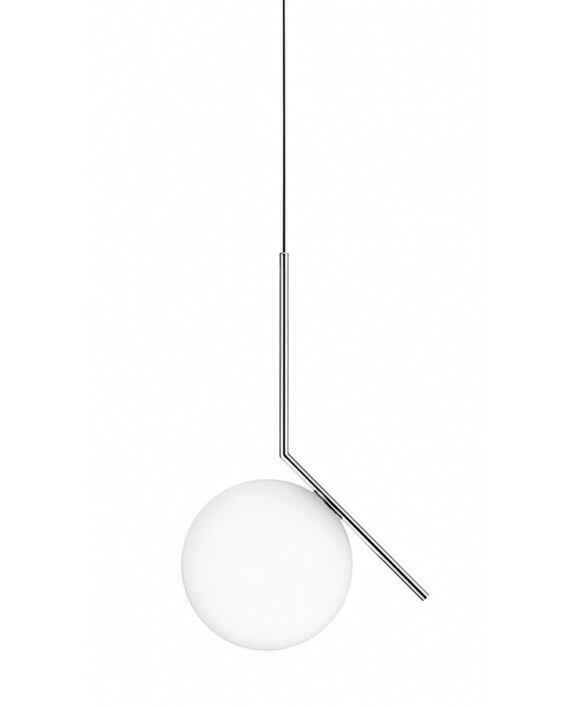 Since it was established in 1962, Flos has been at the forefront of lighting innovation. 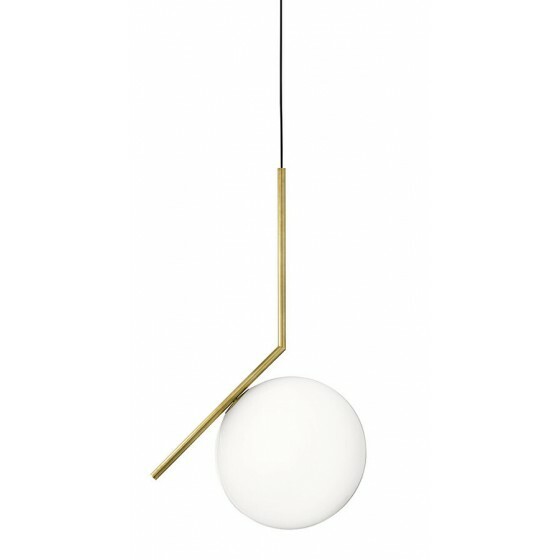 Renowned for its collaborations with design masters, their illuminations have explored modern materials and playful designs for over 50 years.